The 2018 Honda Odyssey's redesign is aimed at pushing the brand to the top of the minivan sales charts. DETROIT -- In a hotly contested minivan segment in which an onboard vacuum cleaner no longer qualifies as cutting-edge, Honda’s redesigned 2018 Odyssey takes family-friendly features into the digital era. The fifth-generation Odyssey unveiled Monday at the Detroit auto show and due in dealerships this spring promises 21st-century connectivity through in-car apps and cameras, streaming video and 4G Wi-Fi, along with Apple CarPlay and Android Auto compatibility. There are hardware improvements too, including more flexible seating, an available 10-speed automatic transmission and stain-resistant leather seats. 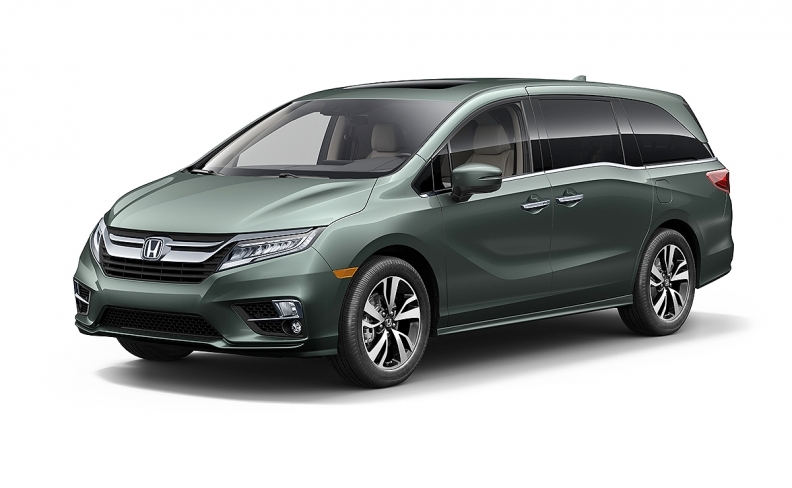 The ground-up redesign is aimed at pushing Honda to the top of the minivan sales charts above Toyota’s segment-leading Sienna, which is older than even the outgoing Odyssey. Honda will also have to contend with Chrysler’s Pacifica, the Town & Country replacement that has drawn raves for its family-focused technology touches, easier-to-fold seats and smooth ride. Reading like a Best Buy shopping list, the 2018 Odyssey’s spec sheet includes a host of standard and optional gadgets designed to engage even the shortest of attention spans and keep the Odyssey competitive with the Pacifica, which offers downloadable games and other apps for the available 10.1-inch (25.6-centimetre) seat-back video screens and HDMI inputs to display video signals from other gadgets. Through a downloadable app called CabinControl, passengers can use their smartphones to control features such as the rear entertainment system, heating and cooling, and destinations for the navigation system. Front-seat occupants also get some nifty gadgets, including a camera that provides a view of what’s going on in the back seats and a microphone that lets the driver communicate to middle and rear passengers through the speakers and headphones, an evolution of a function that has been available for a few years on the Sienna. Just which of these features will be standard or optional is to be announced closer to the Odyssey’s on-sale date this spring. Honda also changed the seating configurations of the new Odyssey. While middle-row seats won’t fold flat into the floor, a hallmark of Chrysler’s vans, they can slide forward and backward and side to side to separate squabbling kids, make loading easier or to bring a child in the center seat within the driver’s reach. And yes, the vacuum cleaner is still available. The outside of this family hauler will look familiar to anyone who has recently visited a Honda dealership or stared at a new Civic. Overall, the new lines and more sculpted sides soften the van’s look slightly from the previous generation. 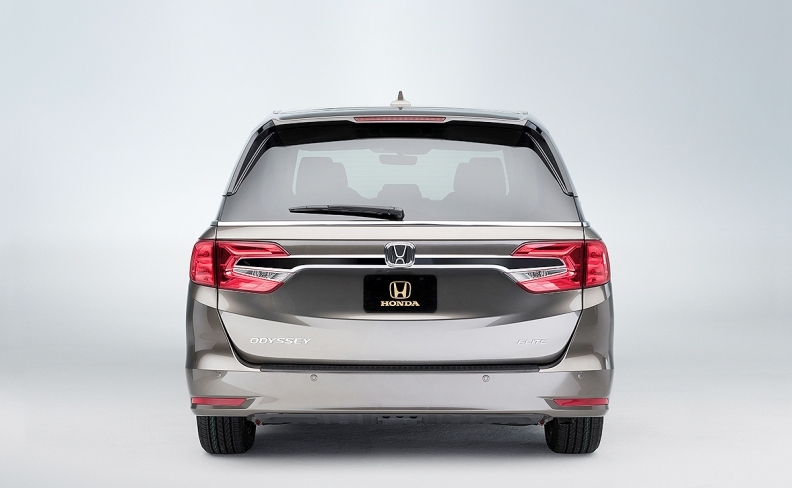 Honda finally joined its competitors in integrating the sliding door tracks into the bottom of the side windows, so there’s no more unsightly gash running along either side of the Odyssey, though Honda kept the distinctive kink in the window treatment of the sliding door. Up front there are the optional LED headlights similar to what’s on the Civic and CR-V and a prominent chrome grille. The 2018 model rides on a new chassis shared with the Ridgeline and Pilot that when paired with Honda’s use of high-strength steel, aluminum and magnesium, shaves nearly 100 pounds (45 kilograms) off its predecessor's curb weight. Under the redesigned look is a revised 3.5-litre V-6 with direct injection and cylinder deactivation. Horsepower jumps up 32 to 280 total. A nine-speed automatic transmission will be standard on lower trims while a new Honda-built 10-speed automatic gearbox will come on higher-end models. Safety comes in the form of Honda Sensing as standard equipment on EX and higher trims -- which Honda expects to account for 95 per cent of all Odyssey sales. This suite includes precollision braking, lane-keep assist, road departure mitigation and adaptive cruise control. Fuel economy ratings weren’t announced but Honda says it expected the 2018 Odyssey to hit top-in-class EPA ratings (not including Chrysler’s Pacifica plug-in hybrid).